Naval Architect at Marconi Radar in November 1984. 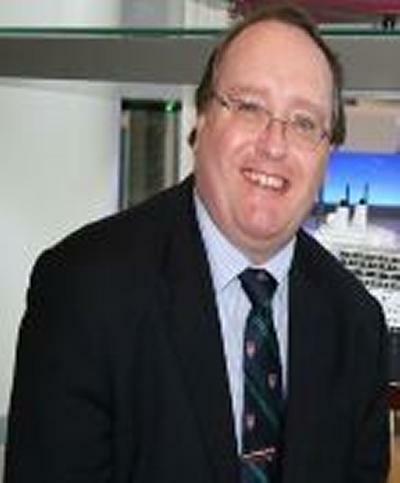 Principal Consultant at PFJ-Maritime Consulting Ltd, starting in June 2011. I advised Marconi Radar on aspects of ship motions and ship design in relation to a contract that the company was hoping to secure. I scout for new business and work with clients giving advice and assistance with various projects. I also give advice to legal teams on matters of ship design, construction and operation where disputes have arisen. My favourite job was with Carnival Shipbuilding where I became Vice President Chief Naval Architect. I was entrusted with the design of the Cunard flagship Queen Mary 2 –I also worked on the contract and negotiations for the ship and was in charge of the construction supervision team. Being given the task of designing Queen Mary 2 was the key moment of my career to date. It opened many doors and I met many interesting people. I was awarded an OBE by Her Majesty The Queen and a “gold” Blue Peter badge from the programme in recognition of the fact that I had written to them when I was twelve announcing that I hoped to design a great passenger liner when I grew up. Most definitely. The technical content of the course has been invaluable –but also the mind set and approach to problem solving. The University always struck me as a friendly place. The dept. Ship Science in particular was a very small group that had the feel of a “family”. The number of universities offering naval architecture was limited and I particularly wanted to be near to a passenger shipping port –Southampton is the busiest such port in the UK. When I was seven years old I watched the BBC Children’s programme feature the Cunard liner Queen Elizabeth. It captured my imagination and I started to think about how to design and build such ships from then on. A degree in Ship Science –a fancy name for naval architecture, was a prerequisite to designing passenger ships. I joined the University Royal Naval Unit (URNU). I wanted to gain experience of how ships behaved at sea, how to steer them and this seemed an ideal way. I played squash. My involvement with the Royal Naval Unit took up quite a lot of free time. Southampton is well placed for the New Forest and has a host of interesting places within easy reach. Transport links to the rest of the UK are also very good. Be prepared to work hard. The course is not a walk in the park and it is designed to challenge you and equip you with the skills that you’ll need in the real world. Many things you study will appear very theoretical but much of it will have real life applications –stick with it and always ask for help if you need it. Start thinking about what you want to do with your career as soon as possible and plan who you’d like to work with and in what area of specialisation. Set yourself goals and strive to achieve them. Designing and building Queen Mary 2. I regularly meet several of my year group.